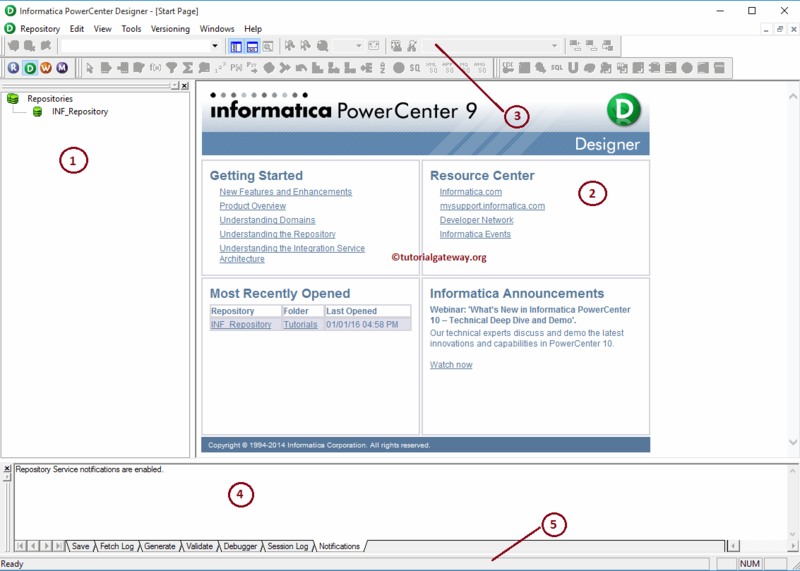 The Informatica PowerCenter Designer will help us to create or edit the PowerCenter objects such as: Source(s), Target(s), Transformation(s) and mapping(s). 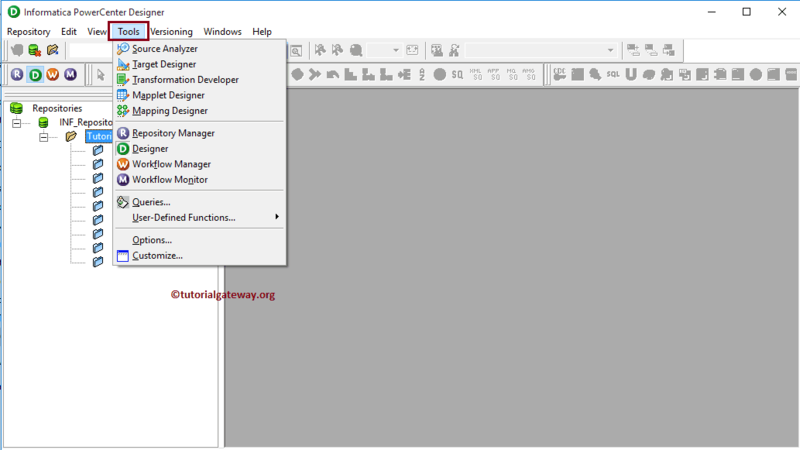 In this article we will explain you each and every component present in the PowerCenter Designer. 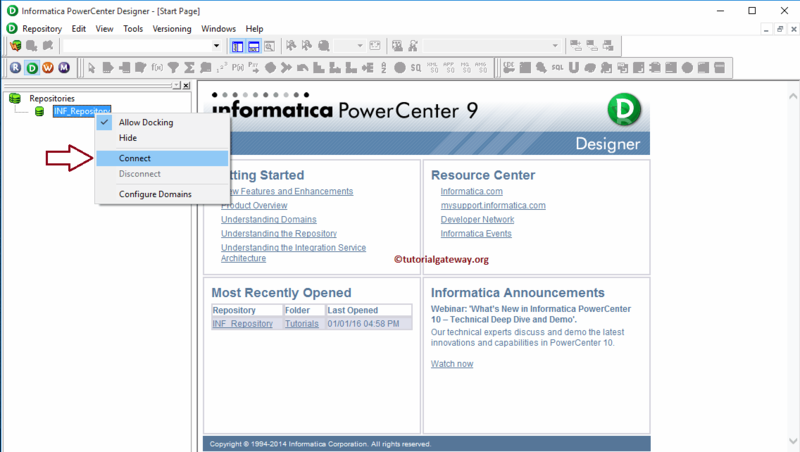 In order to open the Informatica PowerCenter Designer, Please Go to the Start menu -> All Programs -> Informatica 9.6.1 -> PowerCenter Designer. Once you click on that, following window will be opened. 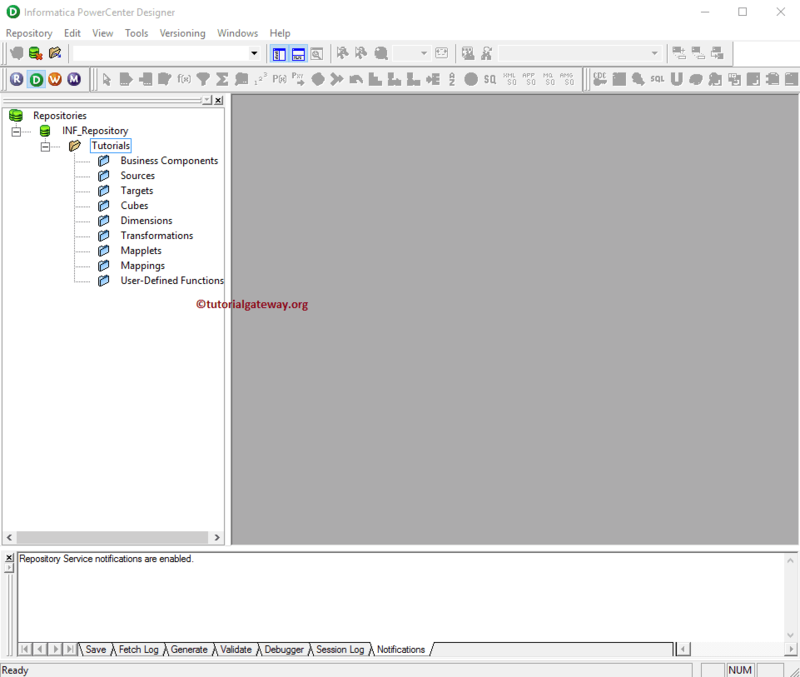 Navigator: This section is will allow us to connect with the Informatica Repository services and navigate between Different Folders such as Source, Target, Transformation etc. Toolbar: By default, it will show most commonly used components (such as transformations) while designing. We can edit this section as per our requirements. Output window: In this section, You can check whether the given code is Valid or not, find the Errors. Status bar: It will display the status of the current operation. In order to connect with the PowerCenter Repository service we have to provide the Informatica Admin Console credentials. So, Please provide the Username and Password. Once you connected successfully, the following window will be displayed. If you observe the below screenshot, you can see the Subfolders inside our tutorials folder. 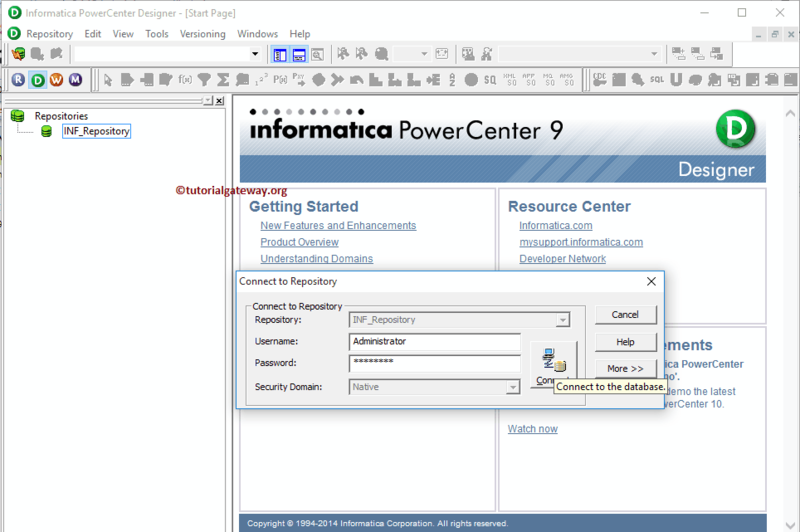 The following screenshot will show the list of available tools inside the Informatica PowerCenter Designer. These tools will help us to work with Source, Target and ETL operations. Transformation Developer: This will allow us to create reusable transformations. It means, we can use the existing transformations to create more robust transformation. 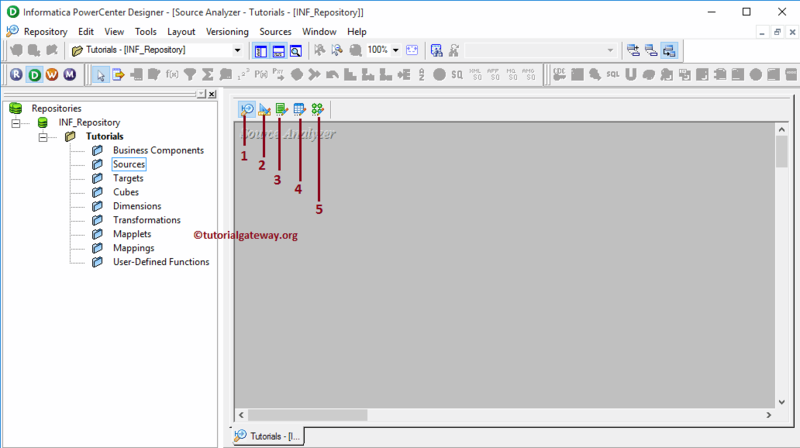 Mapplet Designer: This will allow us to create a group of transformations that can be reused in multiple mappings. Mapping Designer: This is the place where we are going to perform Extraction, transformation and Load. Mapping means Source -> Transformations (If Required) -> Target. It allows us to use One or more Sources, One or More transformations and One or more Target Designers.